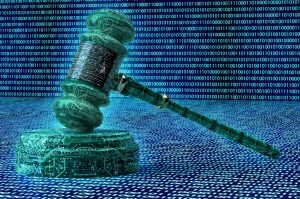 There are more than 320 digital legal tools designed for use by non-lawyers in the U.S., but access to justice expert Rebecca Sandefur says the potential for the technologies to assist Americans with their civil justice problems has largely gone unrealized. “Most of the tools that exist right now are neither efficiently scalable nor legally empowering, but there’s no reason it has to stay that way,” Sandefur said this week. The associate professor at the University of Illinois at Urbana-Champaign was speaking during a Monday meeting of the State Bar of California’s Task Force on Access Through Innovation of Legal Services. Sandefur told the group that one promising digital legal is JustFix, a free app that allows tenants in New York to notify their landlord of issues needing repair. The app has a tenant go through a room-by-room checklist and upload photos, as well as other information, to document habitability problems. The tool then uses a lawyer-approved template to send a certified letter to the tenant’s landlord outlining the concerns that need to be addressed to comply with housing codes. “There are very few things like this, but obviously there is a lot of potential here to work on specific problems in a focused way,” Sandefur said. She said one reason there are not many effective tools was developers’ fears of facing unauthorized practice of law allegations. “Right now, the reason most of these tools are terrible is because there are deep concerns in the community of developers that you are going to go after them if they create a tool like JustFix that does something useful because it’s nudging up against the edge of giving legal advice,” Sandefur said. She said those fears were being driven by one of two things: either the developer community does not have a proper understanding of what constitutes legal advice, or the restrictions on unauthorized practice of law are too stringent. Task force member Lori Gonzalez said she certainly would like to see the bar make it easier for non-attorneys to innovate in the legal tech space. The panel is also examining alternative business structures, multidisciplinary practice models, lawyer advertising, and fee splitting. The task force is slated to submit its final recommendations to State Bar’s Board of Trustees by the end of 2019. Sandefur said the discussion at the task force meeting left her encouraged about the group’s efforts, and she told the panel they had a terrific opportunity to make a nationwide impact in this arena. *This article first appeared on Evolve the Law.